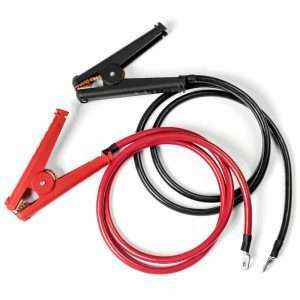 Inverters R Us carries two different styles of 4 AWG battery cables for inverters: alligator clamp & a more permanent eye lug style. Please use these 4 AWG cables on inverters rated 1500 watts and below. 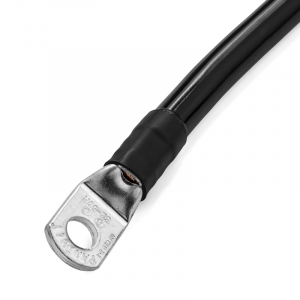 These 4 gauge cables are professionally cut, crimped and heat-shrunk with the utmost care and pride. You will not find better made 4 AWG cables. 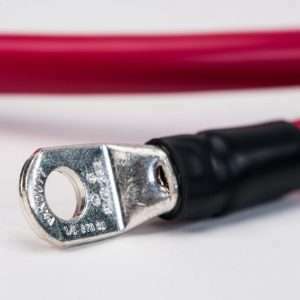 All cables are made in the USA, are UL 1232/1283/1346/10269 approved and come with Adhesive Lined Irradiated Polyolefin (PO) heat shrink, which is exceptionally resistant to water, fungus, and UV light. 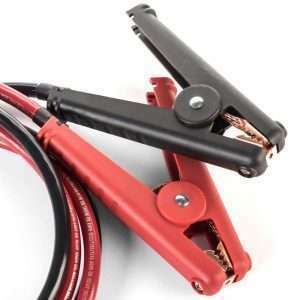 Each cable SET includes one red cable and one black cable with 5/16″ lugs pre-assembled on both ends. If you need a custom cut or different lug or ring terminal, give us a call and we can do it for you. If you have a question concerning what size cable to use with a certain inverter, please do not hesitate to call us at 866-419-2616.